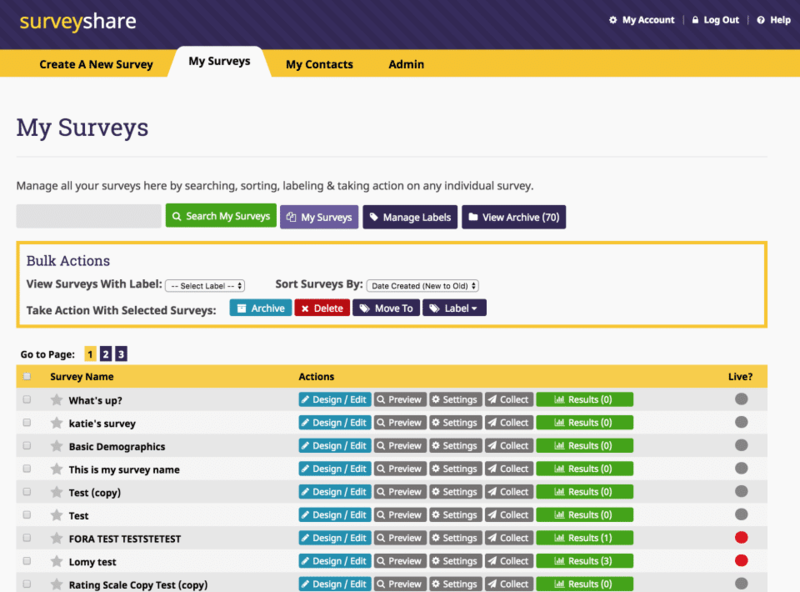 SurveyShare Software is a Survey Software to create surveys from responses. Collect and analyze results in real time. Export Survey results in Excel, CSV, and SPSS. Non-Profit organizations, Individuals, Small, Medium companies make use of the software. How much does SurveyShare cost ? The pricing for SurveyShare starts at $16.67 per month. SurveyShare has a single plan - Pro Unlimited at $16.67 per month. SurveyShare offers a Free Plan with limited features. They also offer an Enterprise Plan for their product. Pros: SurveyShare is the tool where our customer can tell us how we're doing. The software makes it so easy to create and distribute surveys. The graphs and response results are easy to read and very informative. Cons: It seems that any survey tool would have a "How Satisfied are you.. " canned response, but this does not. It IS quite easy to add your own, but it is a little manual. Overall: We needed a tool where we could easily and frequently survey our customers, and then analyze and interpret all those results. This can be tedious and complex, but SurveyShare has greatly simplified this process. Pros: This software has allowed my manager to make several changes in their business regiment. You can anonymously share your thoughts and they are recorded in order to help a business. Our manager set up the survey and got results in a timely manner. Cons: I found the software to be a bit out of my budget. You can choose from several different plans which all vary in price. 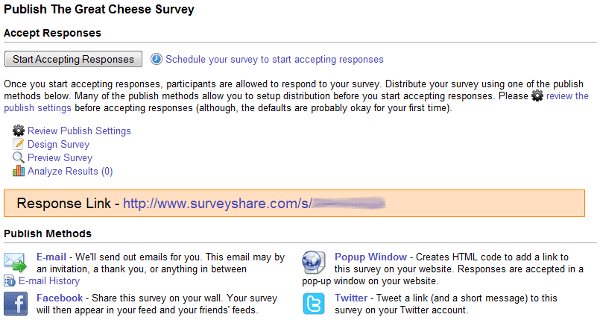 Pros: I found SurveyShare super easy to use, and especially appreciated how speedy and responsive the tool is. I can quickly and easily put surveys together with no hassle. The opportunity for feedback on my business is so valuable and really justifies the minimal cost of this tool. Cons: Mmm nothing off the top of my head, I'm pretty happy with it! Overall: SurveyShare is great, I'm really happy with it. Thanks guys!